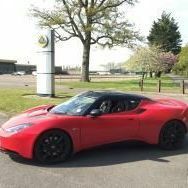 I'm looking at replacing the standard manifold and cats on the Evora, mostly to save weight, but I see the various sellers also suggest power gains. Anyone changed their mani's and have any view on whether this is true? Also anyone that has changed care to comment on noise? Sorry mods. Can ypu move this to engines etc for me please. Posted in wrong section. As you know, Paul, I’ve got the Komotec manifolds/headers on my car (along with the rest of the KT exhaust system). Although I don’t think that I weighed them when they were swapped, the KT manifolds are definitely lighter than the OEM ones that they replaced. (I think that there is a list on lotustalk of the weights of the respective components. The original author of that document might have been @Julian73). However, don’t forget that the OEM manifolds also have the cats in them. If you remove them, then you will obviously have to put another cat back in further down the system. Regarding power gains, the KT manifolds will be more freely flowing than the OEM ones so logic dictates that yes, there will be power gains. However, the car will have to be remapped to make the most of them (which might not be possible with your particular setup). (Also, don’t forget that the OEM manifolds/cats aren’t as restrictive as some aftermarket exhaust manufacturer(s) might want you to think - the 400/430 still uses the same OEM parts as the original S). If weight is your particular interest (regardless of cost), have a word with @Bibs. He is helping a company called Alunox develop an inconel & titanium system for the S. It won’t be cheap though! I think the mani change will lose around 5 kg by the time I've added the rear cat back in. ( I've got the weight spreadsheet from LT). Re the inconel I've been looking at that but I have a concern about the tinny lighter noise that the thinner wall will generate. It will be interesting to hear Bib's product when its available. Did you ever note the weight difference between your oem and your one piece tailgate? Cheap? Tell me about it. All this just to lose a few kgs. The Win-Ace 410 bootlid in GRP is 8.8kg. (Their cf one will be a bit lighter but obviously more ££££s). Although it hasn’t been weighed yet, Dave says that the OEM bootlid takes 2 people to manoeuvre so estimates that it weighs 20-30kg. (If you really want to know, mine is still being stored at ES so maybe you can ask them to weigh it. Don’t forget to include the spoiler weight as well). Interesting. I remember reading somewhere that the cf one was 8 kg! I'll get the weights from Winace in the new year. Whichever, either is a significant saving. I'm aiming for 50 kg overall if I can find it. You’re going to be changing the seats, I presume? ISTR that the bases/runners are particularly heavy. If you really want to save the weight, you might need to settle for fixed seating positions. Yes to seats but possibly only for my track trips. Fixed bases wouldn't be a problem as no one else drives it normally. My main aim is to lose some weight around the rear end. If Winace can come up with a lightweight carbon bumper I'll be one of his first customers. Meanwhile mani, tailgate, brakes and wheels plus the seats are the first targets. He is also currently working on his versions of the GT430 front and rear bumpers. They might be worth waiting for. re wheels - who have you got in mind (and in which size(s))? Gt 430 rear only I think will match the S1 front pretty well, plus the front relieved quarter panels and then the cf diffuser assy. If I get the first stage bits done, I'll then get the car over to Dave for the bodywork changes and painting. The wheels I haven't decided on as I'm waiting for some weight and loading info, but I quite like the look of the BC forged monoblocs with the fewest spokes I can get away with. I also like the sector 111, or inokinetic newly named, rear lightweight discs. Again I need to check costs and import charges. I haven't spoken to anyone in the UK yet but if someone would supply similar ally belled small vaned discs I'd be interested. The UK seems only to want to supply pre existing stuff from other makes that happens to fit. @Bruss I fitted the 2bular headers to my NA. Saved about 2kgs in weight with the cats and the noise, oh yes, big difference, and that was with keeping my LotusSport ti tipped exhaust. I added the 200cel sports cat between the headers and exhaust. Definitely gave more mid range urgency. No remap needed for me, the ECU did it itself. One thing that has not been mentioned is the heat it took out of the engine/engine bay. It regularly runs one bar lower on the temp gauge now and that has to be a good thing for the engine and performance. @C8RKH Thanks for that. The noise may actually be an issue for me. I have a Larini backbox which they made for me specifically to try and keep the noise down for track use. Interesting what you say about heat though. One of the big draws on power on track is heat soak. Anything that helps draw heat out is good. Do you still have the oem heatshields in place or are they discarded or changed with the tubular? I believe all the oem "stuff" was removed - manifold, cats and associated bits - and just the new manifolds put back. The noise is more deeper, more of a grumble. I actually did the manifold changes for three reasons, (1) improved grumble, (2) improved mid range (I had read especially on Lotustalk in the US re this and (3) to reduce the roasting of the engine block by the OEM cats (after speaking to 2bular and also from Lotustalk feedback). I'm delighted with the results. Only thing left to do is to add the Komotec carbon airbox and a tune - and if ES Motorsports / Hangar111 / Komotec ever respond get a tune. I need to try Essex, hopefully they will respond but it seems no one really wants to be bothered with tuning the NA - just my experience to date. An easy 320bhp would give it the performance of the S without the extra weight so not affect the sweeter handling. @Bruss - thinking about weight saving at the rear, are you going to install a lithium battery? £ for lb, that will be your most cost effective saving. My main aim is to lose some weight around the rear end. If Winace can come up with a lightweight carbon bumper I'll be one of his first customers. Nope. Mine is an NA so if I was going to go SC it would be oem first. If I got it then no doubt it woukd get the KT 430 tgen/or the 460 treatment and would be a keeper. Yes, its on the list.